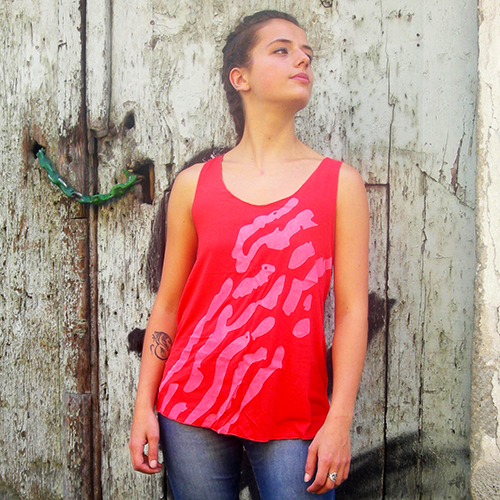 Our Vest are printed and made by hand. The design can show small differences from one shirt to the other and this creates their own peculiarity as objects of art. The design is the product of researches, it comes from the theme of organic shapes. 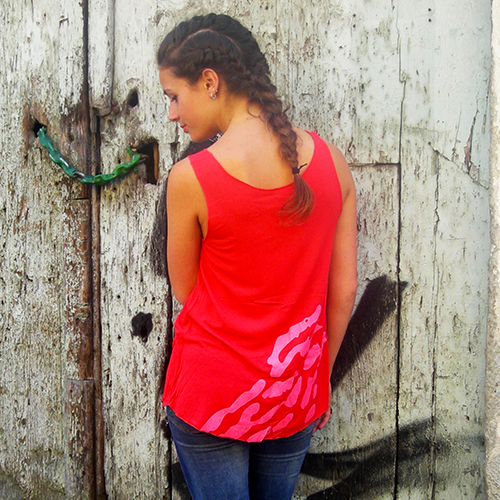 We print the Vest by hand with the screen-printing and stencil methods.